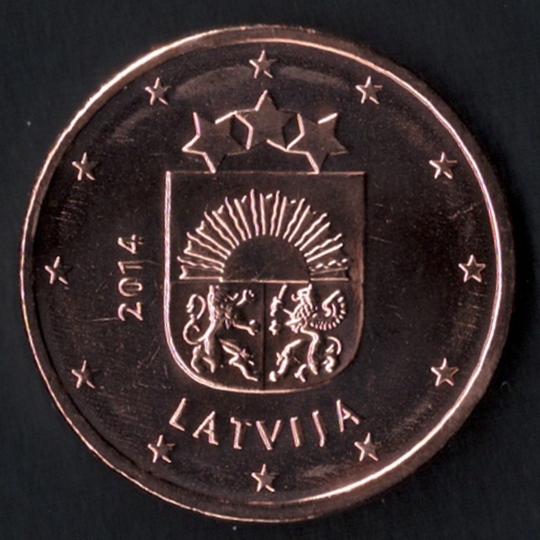 Latvia is a member of the European Union since May 1, 2004 and joined the European Monetary Union on January 1, 2014. 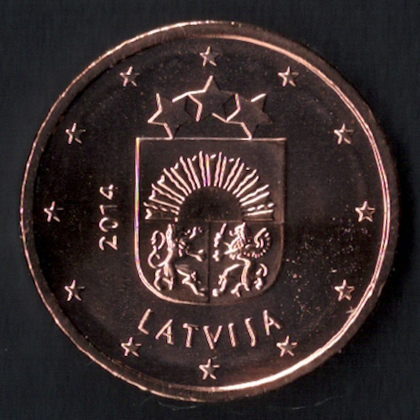 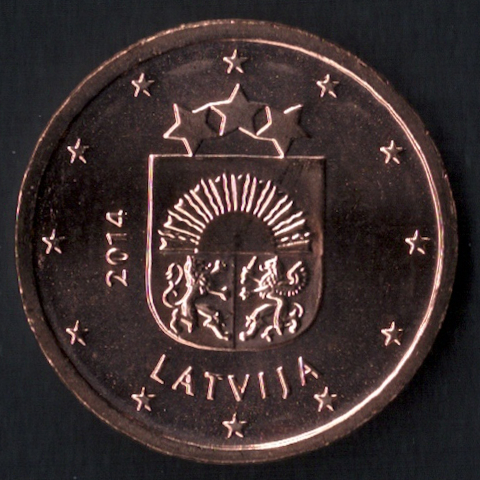 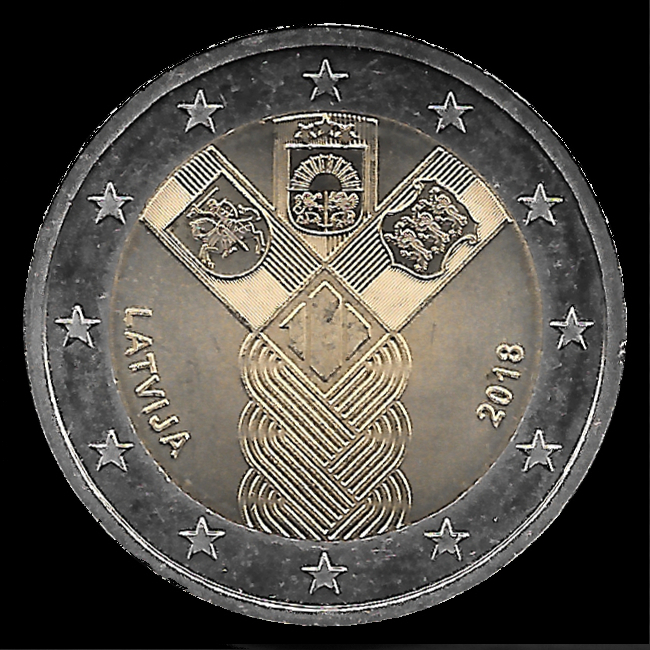 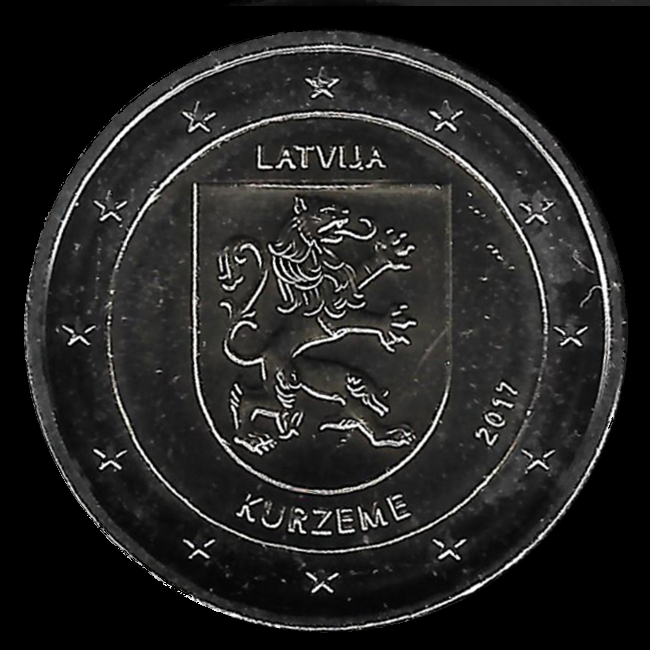 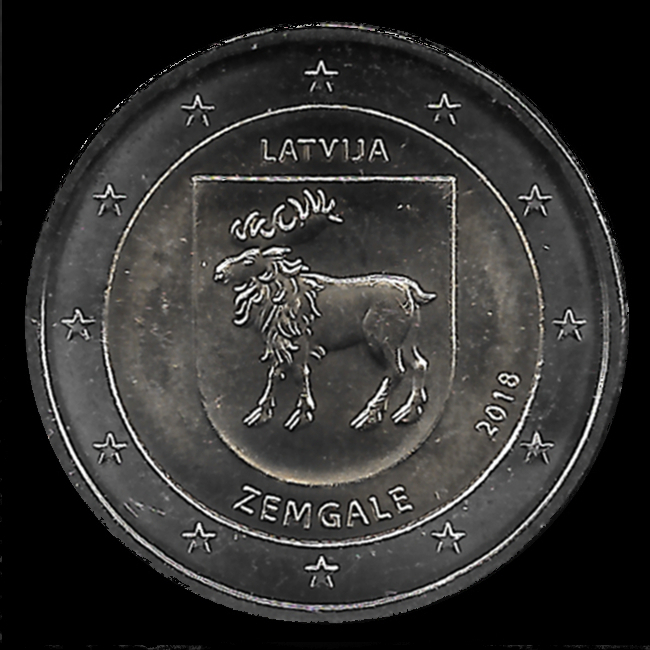 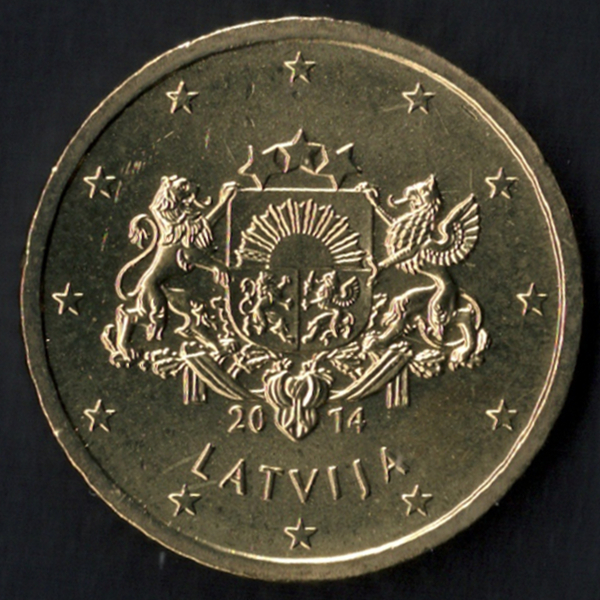 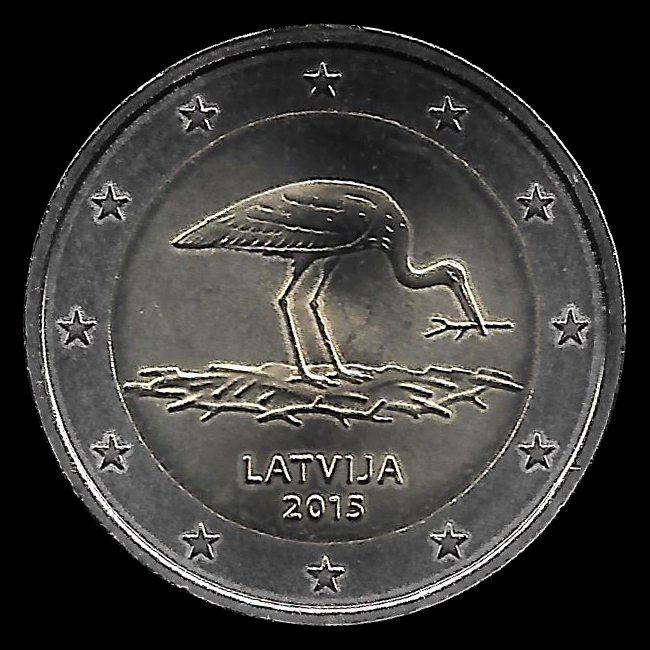 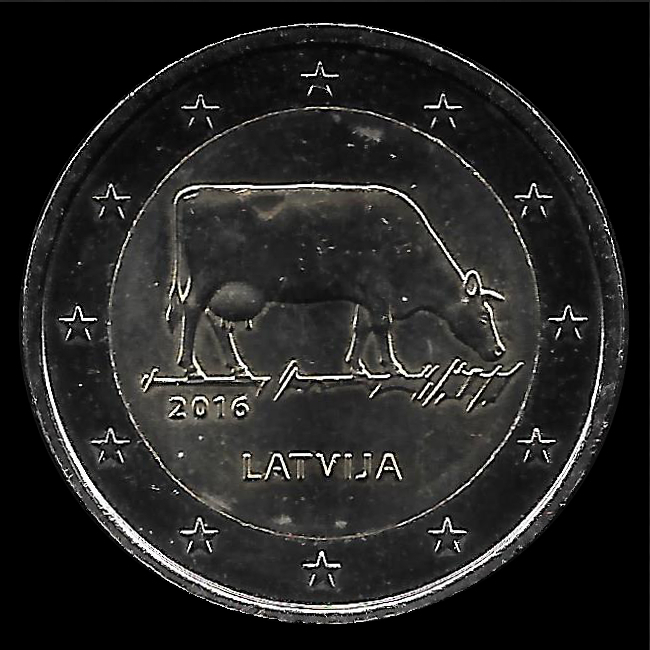 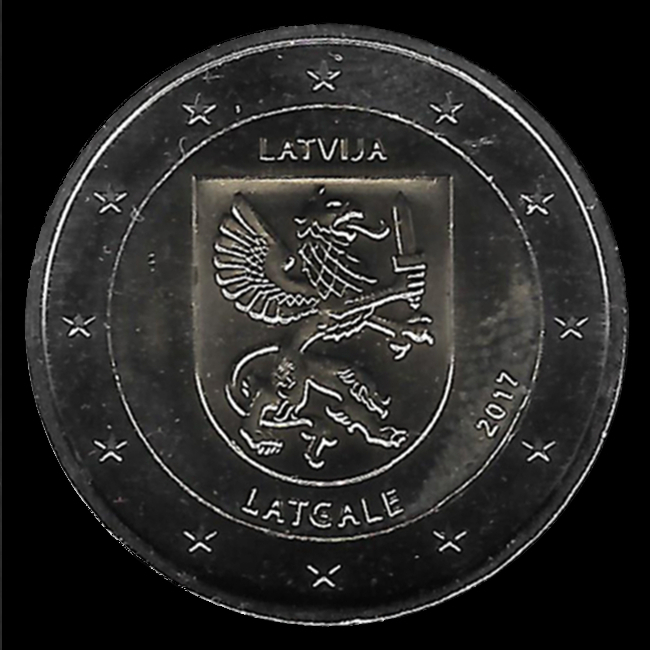 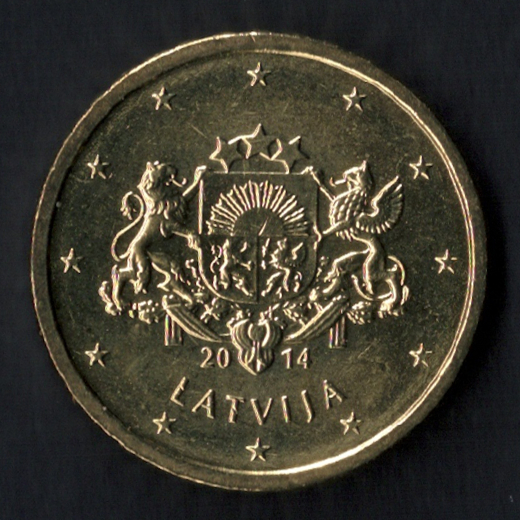 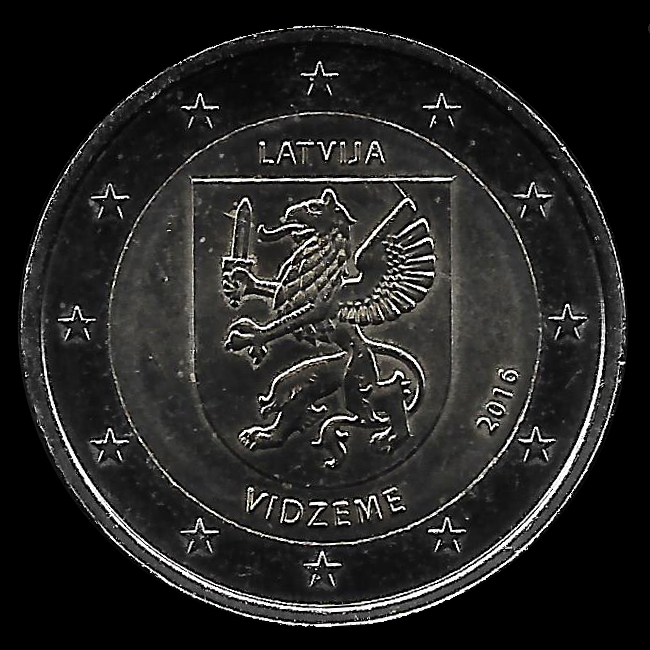 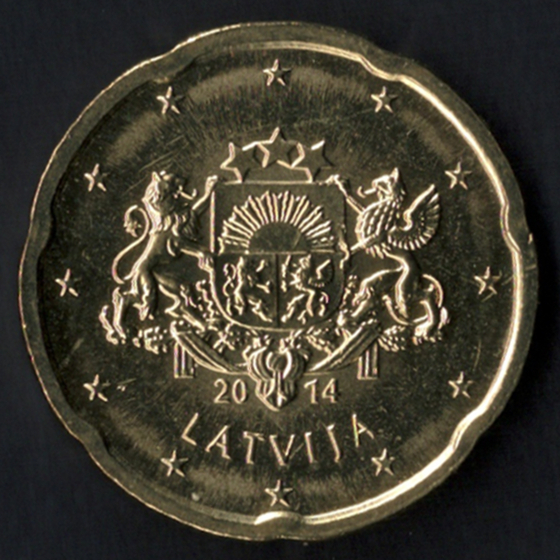 The currency used before the adoption of the euro was the Latvian lats. 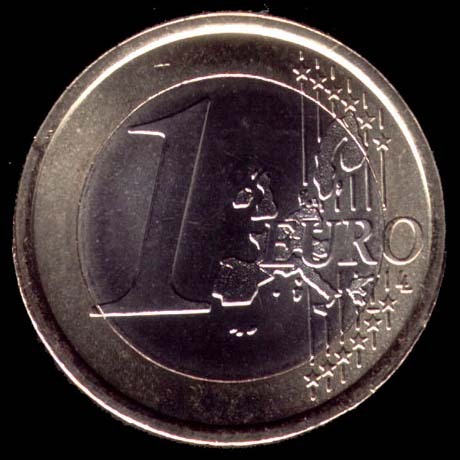 The initial forecast for the access to the eurozone was January 1, 2008, but it was postponed to January 1, 2014 for several reasons. 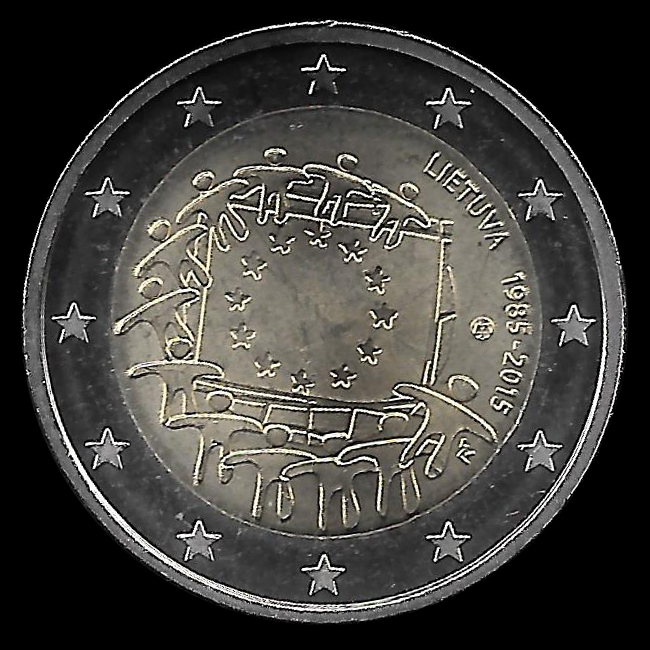 The application to join the eurozone from 1 January 2014 was submitted to the Council of the European Union on March 4, 2013. 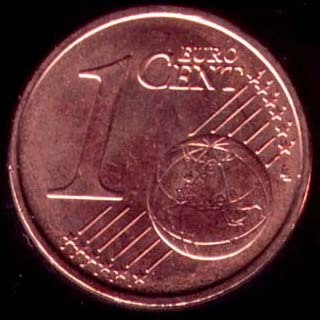 The European Commission gave a favorable opinion on June 5, 2013 and the Council of the European Union took the final decision on July 9, 2013. 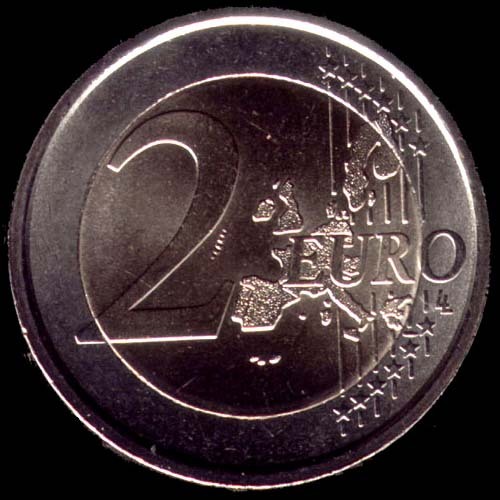 The exchange rate between the euro and lats was set to 0.702804. 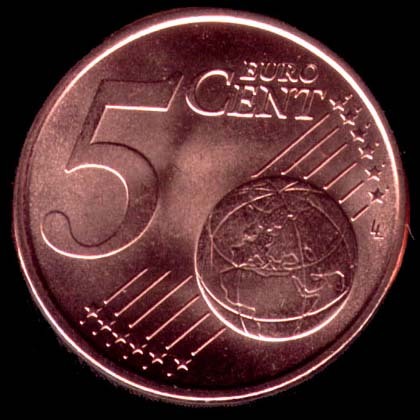 1, 2 and 5 cents: the simplified coat of arms. 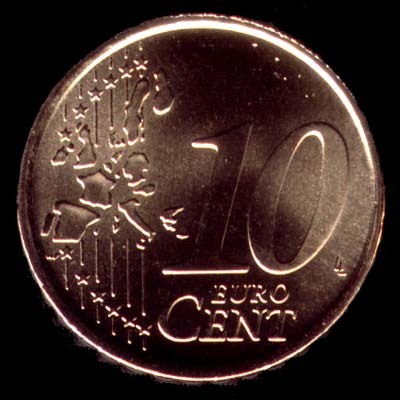 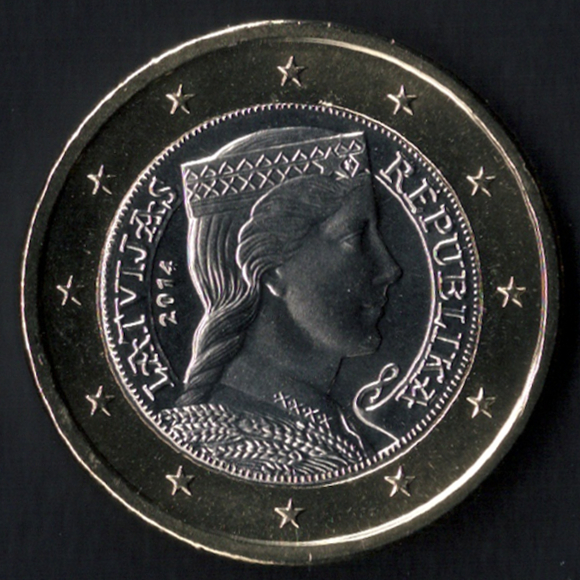 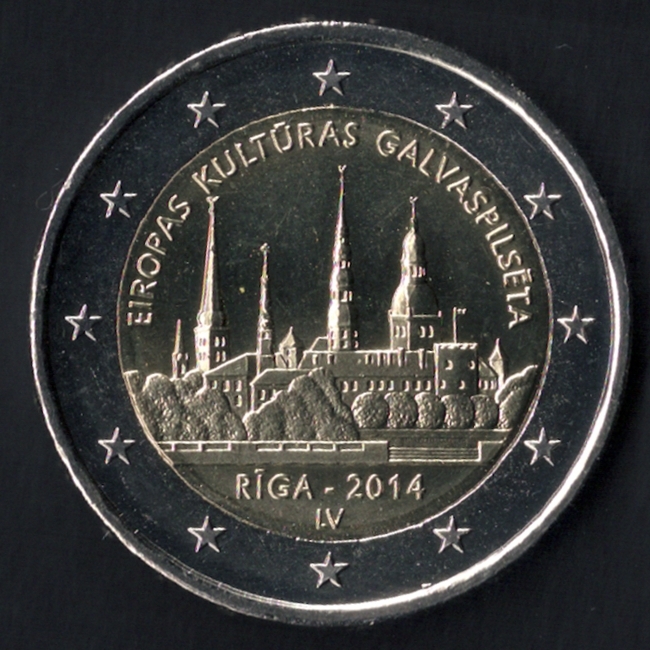 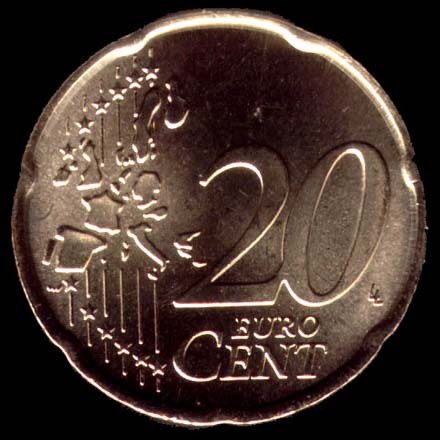 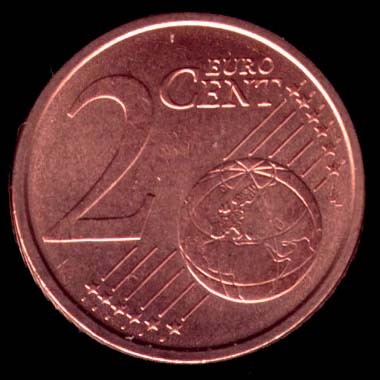 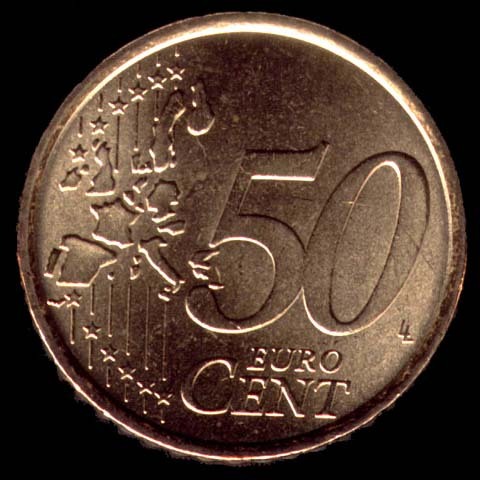 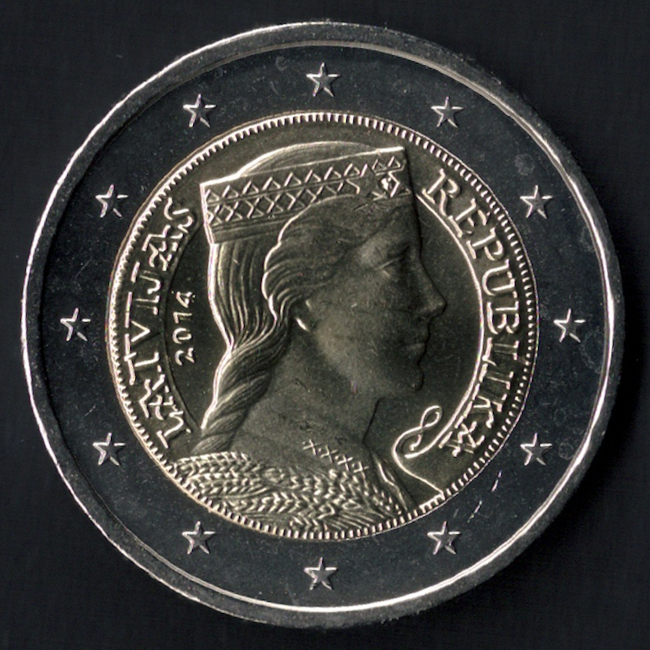 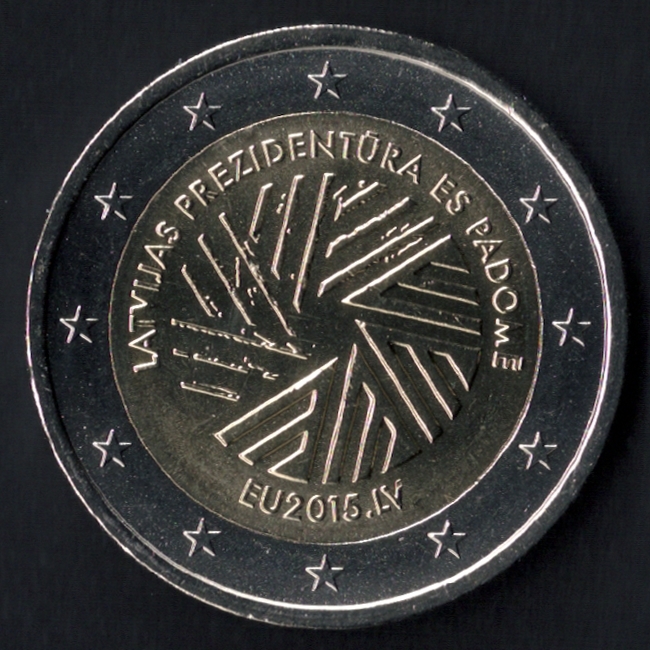 The design of the 2-euro coin was replaced with the same picture of the 1 euro coin for the inability to reproduce the image properly.